New details have appeared about the Palm Pre 2 – the second handset to come out since Palm was bought by HP. The first Palm/HP phone was the Palm Pre Plus back in May. But as that phone was released pretty soon after HP's acquistion it didn't really have much, if any, HP goodness inside. The new phone will be a true showcase of what HP is bringing to the table in the smartphone world. The information was leaked on the company blog of French mobile network SFR. As it's now replaced with a 404 message, we're suspecting someone may have had a word or two. 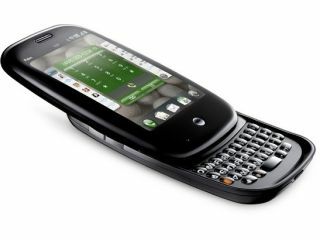 Although there wasn't too much to go on, it seems that the Palm Pre 2 will be sporting a shiny new operating system, in the form of webOS 2.0. This OS adds things like push functionality and integration with social networks. Facebook was a prominent factor on the phone, with wall posts and messages from the social network coming through as notifications on the handset. Underneath the hood, there is a 1GHz ARM processor and 512MB of RAM. Also there is a micro USB port on board, improved battery life and a flatter screen. If SFR has all this information all ready to go up on its blog, then it is likely we will see a UK release date for the Palm Pre 2 in the not too distant future.